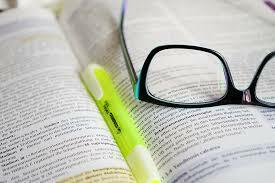 The first few pages of your dissertation need to give a lot of technical information about your study. These pages are used by administrators, by your college or university library, and by any readers who search for research like yours in order to understand the details of your study and to categorize it within databases. You can download a template for the title page by clicking one of the links below. The sample has highlighted all of the information which you need to include. Delete the yellow highlighted sections and type in your own information. Download a Word (docx) version of the title page template. Download a PDF version of the title page template. · Whether your dissertation is in partial fulfillment of your degree, or whether it is in fulfillment of the degree. If you’re required to also do coursework, extra assignments or community interaction as part of your degree requirements, your dissertation is in partial fulfillment of your degree. Indicate this before your degree name. · The full and correct name of your instructional program (eg. Philosophiae doctor, Magister Technologiae, etc). Find these titles on your department guide or registration information at your institution. Your proof of registration should contain the full name of the degree. Make sure it’s correct. Make sure that you include all of the information and double check that everything is precisely correct. Remember, if you require any help with structuring your thesis, or you require editing and academic coaching on drafts, outlines or ideas that you have for your work, you can contact the Academic Coaches at info@writeyourthesis.com. 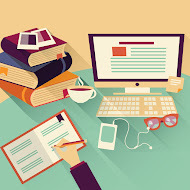 If you are just starting out with your thesis, we advise you to take the Thesis Readiness Quiz to learn about your unique academic strengths and challenges: www.writeyourthesis.com/p/quiz.html.